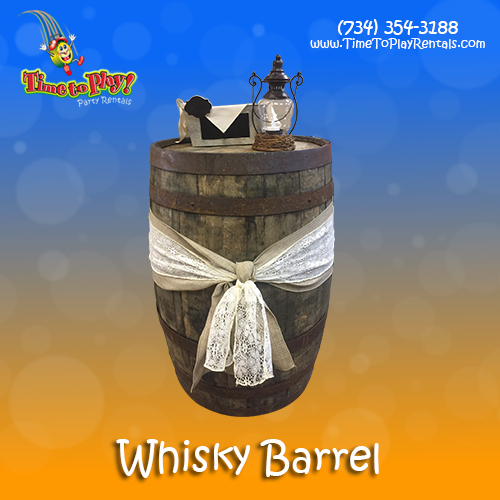 Our Whisky Barrels will give your event a remarkably rustic, very vintage look! Wrapped in burlap and lace, or left bare, these barrels are an eye-catching decoration for any occasion. They can also be used as tabletops for guests to gather or for special displays. Our Whiskey Barrels are the real deal!